LAS VEGAS, June 28, 2018 (GLOBE NEWSWIRE) — Golden Matrix Group Inc. (OTCPK: GMGI), a developer and marketer of social gaming platforms, today announced it has entered into a definitive distribution agreement with Sydney-based SendGold, a mobile asset financial technology company offering gold bullion transactional services through its digital money platform. Under terms of the agreement, SendGold’s gold bullion transaction service will be incorporated immediately into GMGI’s gaming platform, thus building on GMGI’s offerings to the large client base of its many social gaming operators, and creating additional monetization and gamer loyalty. GMGI will also assist SendGold with the design and translation of its mobile and web applications for the Chinese market. 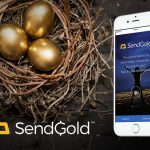 As a result of their collaboration, both companies are “particularly excited” about the opportunity to expand global interest in SendGold’s Gold Rush, a mobile app allowing gamers to seek out digital gold almost anywhere in the world. Using sophisticated technology similar to that of other popular games like Pokémon Go and Coderunner, Gold Rush is currently the only location game in the market in which gamers can own real gold. Once a gaming player in a Golden Matrix social game exchanges his in-game credits for digital gold, he can then register with SendGold and take ownership of real gold – which immediately becomes his individually-owned property. Players can choose to either keep the gold for investment purposes, or cash out straight to their local bank account, all in-line with regular gameplay. SendGold’s Gold-as-a-Service platform currently enables players to cash out in local currencies to mainland banks. 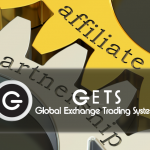 Golden Matrix said it will receive revenue based on the activity it generates through SendGold-related transactions. Golden Matrix Group, based in Las Vegas NV, is an established gaming technology company that develops and owns online gaming IP and builds configurable and scalable white-label social gaming platforms for its international customers, located primarily in the Asia Pacific region. The gaming IP includes tools for marketing, acquisition, retention and monetization of users. The company’s platform can be accessed through both desktop and mobile applications. Our sophisticated software automatically declines any gaming or redemption requests from within the United States, in strict compliance with current US law. 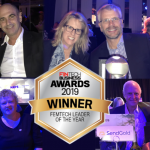 SendGold, based in Sydney, Australia, is an emerging, global financial technology firm with a peer-to-peer digital money platform that is hyper-liquid, universally accessible, and based on one of the world’s best-known and most reliable stores of wealth. 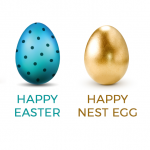 SendGold customers own title to fully allocated physical gold and can use it for investment, gifting & global peer-to-peer payments, in any amount, using just their phones. SendGold’s unique innovative ‘Gold Rush by SendGold’ mobile app is a unique approach to gamified, efficient customer acquisition and offers a Geo Location game similar to Pokemon Go, but with real gold. SendGold and all of its operations are fully-regulated under Australian law. Company practices are regulated by The Australian Securities and Investments Commission (ASIC) and the Commonwealth Corporations Act of 2001. SendGold is fully-compliant with the Anti-Money Laundering and Counter Terrorism Act and company compliance is monitored by the Australian Transaction Reports and Analysis Centre (AUSTRAC) under Designated Service Number 100529055. This press release may contain “forward-looking statements” within the meaning of the Private Securities Litigation Reform Act of 1995, such as statements relating to financial results and plans for future development activities and are thus prospective. Forward-looking statements include all statements that are not statements of historical fact regarding intent, belief or current expectations of the Company, its directors or its officers. Investors are cautioned that any such forward-looking statements are not guarantees of future performance and involve risks and uncertainties, many of which are beyond the Company’s ability to control. Actual results may differ materially from those projected in the forward-looking statements. Among the factors that could cause actual results to differ materially from those indicated in the forward-looking statements are risks and uncertainties associated with the Company’s business and finances in general, including the ability to continue and manage its growth, competition, global economic conditions and other factors discussed in detail in the Company’s periodic filings with the Security and Exchange Commission. The Company undertakes no obligation to update any forward-looking statements. Read more about Golden Matrix Group. Find out how SendGold’s Gold-as-a-Service can work for your business.